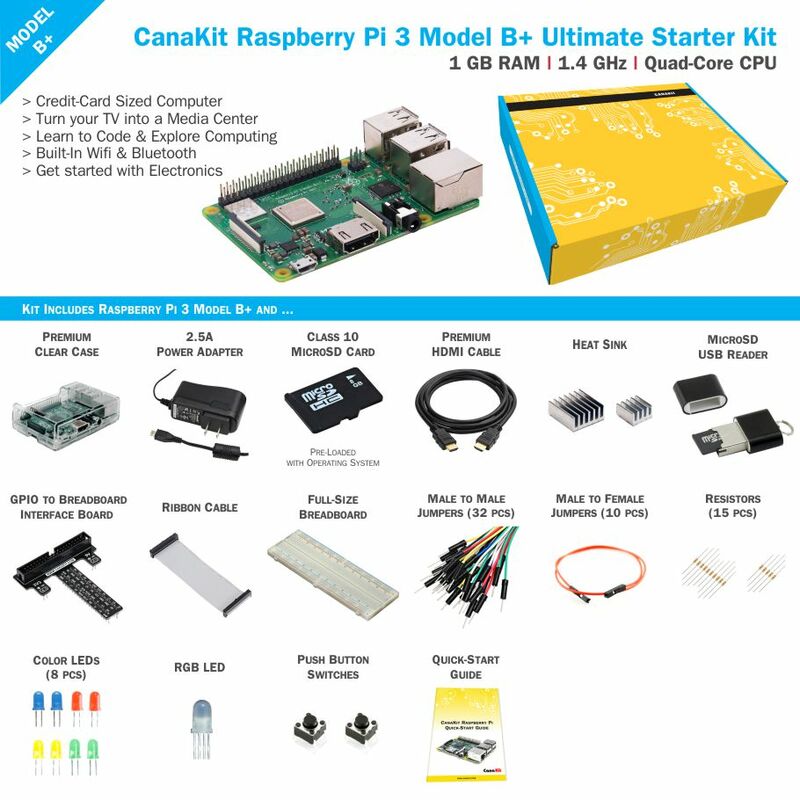 The CanaKit Ultimate Starter Kit includes everything in the CanaKit Starter Kit plus the addition of electronic components needed to start using the GPIO port of the Raspberry Pi 3 – bridging the gap from software to physical computing! 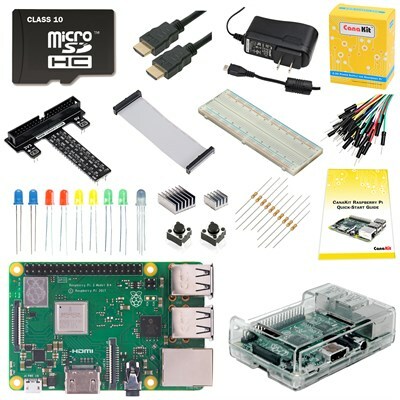 The kit includes a Raspberry Pi 3 case as well as a high performance Class 10 MicroSD Card pre-loaded with NOOBS. Just Plug and Play! The included CanaKit 2.5A Micro USB power supply (UL Listed) is specially designed and tested for the Raspberry Pi 3 B+. This power supply incorporates a noise filter to provide the highest stability.